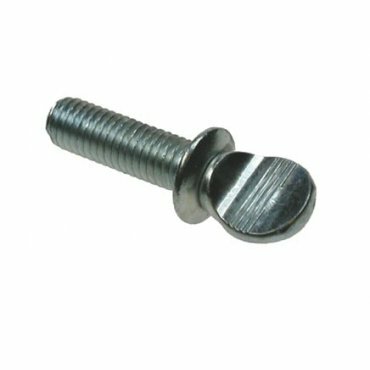 A thumbscrew is a type of screw drive with either a tall head and ridged or knurled sides, or a key-like flat sided vertical head. They are intended to be tightened and loosened by hand, and not found in structural applications. They are sometimes also cut for Phillips head and/or slotted screwdrivers as well as having the knurl for finger grip. Available with, or without a shoulder.